Malaysia and Singapore signed the agreement on the Kuala Lumpur-Singapore High-Speed Rail (HSR) this week. The rail link, when completed, is expected to reduce the travel time of about five hours on road between the Malaysian capital and the Lion City to only 90 minutes. 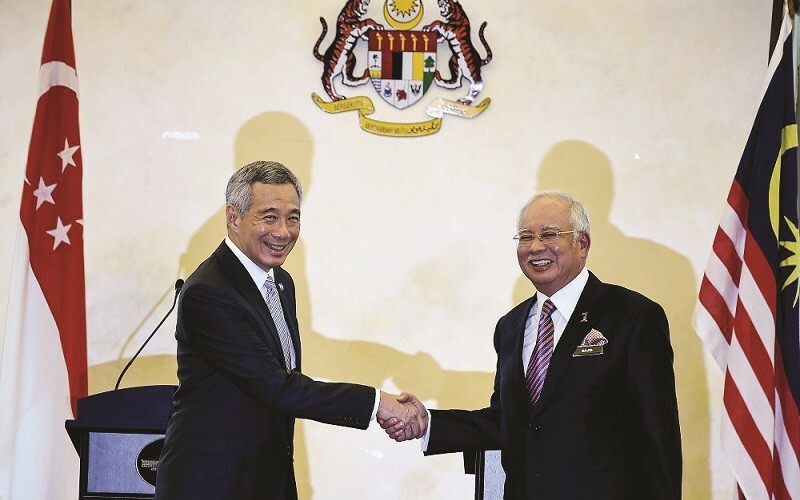 Prime Minister Datuk Seri Najib Razak said the project would open a new landscape in terms of bilateral relations, while Singapore’s premier Lee Hsien Loong described the rail link as a “marquee project” that will “transform the way we do business”. Among the biggest beneficiaries is expected to be the property industry as the new line will be a catalyst for development along its trajectory. The signing of the deal, witnessed by Najib and Lee, was done by Minister in the Prime Minister’s Department Datuk Abdul Rahman Dahlan and Singapore Transport Minister Khaw Boon Wan. The price tag of the mega project is estimated to be as high as US$15 billion (RM67 billion) and is expected to be completed in 2026. Both governments will take responsibility for developing, constructing and maintaining the civil infrastructure and stations located in their respective countries, Bernama reported. The two countries have also agreed that the HSR will have eight stations, with terminals in Bandar Malaysia, KL and Singapore, and six intermediate stations in Putrajaya, Seremban, Ayer Keroh, Muar, Batu Pahat and Iskandar Puteri. To facilitate swift and seamless travel, both governments also agreed to co-locate the Customs, Immigration and quarantine (CIQ) facilities at three locations, namely Singapore, Iskandar Puteri and KL, so that international-bound passengers will only need to undergo CIQ clearance by both Malaysia and Singapore authorities at the point of departure.